Preschool is about learning how to learn. Lifelong skills such as listening, communicating, sharing, interacting with others, independence and opportunities to experience a variety of activities are all part of the daily curriculum. We believe (and research supports) that children in the preschool age group learn best through hands on involvement in play and through interaction with both their physical and social environments. By responding to children’s interests and their exploration we are able to support learning and creativity. 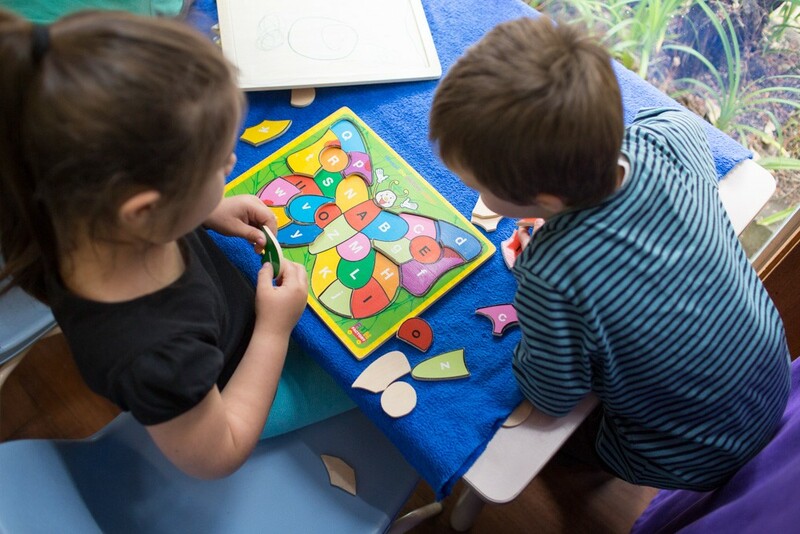 At Learning Links Preschool curriculum means all the interactions, experiences, routines and events (planned and unplanned) that occur at preschool – all designed to foster every child’s learning and development. Our Preschool curriculum is guided by Australia’s first national Early Years Learning Framework (EYLF) for preschools and child care centres. The EYLF has five Learning Outcome areas designed to guide and capture the learning and development of preschool children. Staff work with each child to learn more about their individual abilities, strengths and learning styles. We provide opportunities for families to participate in developing their child’s individual learning collaboratively with staff. The children commence the day with indoor activities in the classroom from 8-8.50am (our early arrivers). From 9am the children move into their class groups to continue their day. We have developed a picture sequence of the daily routine for each classroom for families and children to understand and learn about our daily routine for learning and play at preschool. Families can talk with their child about the pictures. The teachers use these pictures every day at preschool to help children understand what is happening and when in the routine. Staff endeavour to keep the routine predictable so that children can begin to develop independence and follow the routine with confidence. The routine may change occasionally so we can accommodate extreme weather or special events.